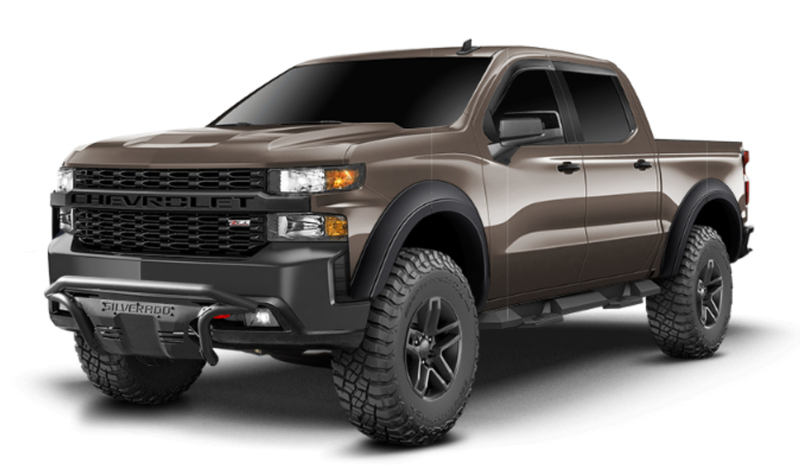 Love it, hate it, or just don’t care as long as your customers are buying accessories for it, the mixed feelings about the new 2019 Chevy Silverado are all over the board. 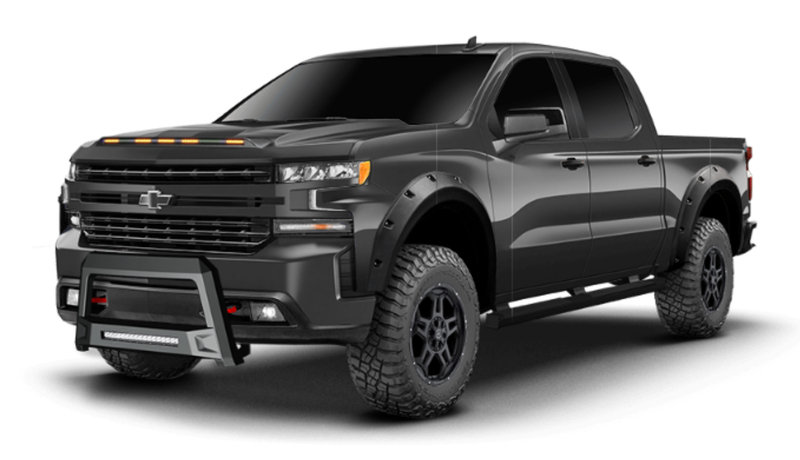 Needless to say, we are very excited about this 1500 Silverado platform as it creates a whole new vehicle for our team to accessorize with the hottest products from our fantastic list of aftermarket vendors not to mention our OE accessories. Good news…the bolt pattern for this vehicle remained the same from previous Silverado 1500s (6×5.5), which made getting a generous offering of wheels and tires on this vehicle instantaneous. And leveling kits from the likes of Skyjacker and Rough Country will get those customers that want that start up package of “lift, wheels and tires” well underway. Like any new release, the availability of accessories from the aftermarket is going to be limited. Big thanks to the teams at Lund International and Westin Automotive for getting us everything they had currently as well as “To Be Announced”. With the SEMA Show right around the corner we expect to have hundreds of accessories for this vehicle in the very near future. Interactive Garage is once again on the forefront of a new product release from one of our amazing vendors. At the 2018 SEMA Show in Las Vegas, Milestar will show the first DOT approved X/T Tire to the industry. We are proud to say that we have this tire in every size to be released on 8 of our latest vehicles…a week before it’s official release and ONLY on Interactive Garage software. Please, if you enable these products in your ADMIN, be aware that part numbers have not been assigned to 90% of these tires (yes, that is how new the X/T is), and no pricing is available on any of them. That will be assigned after the SEMA Show release. If you want to know what is available for the JL’s, your source for information is right here and available to you as our valued licensees of Interactive Garage. Milestar Tires:New Tire from Milestar, the Patagonia X/T. See it on your Interactive Garage before anyone else in the industry. Under The Sun Inserts:Not an official new vendor yet, but a few sample products from this company we thought we would see what the response would be. Lifetime LED Lights:Replacement headlight options with adapter and harness. 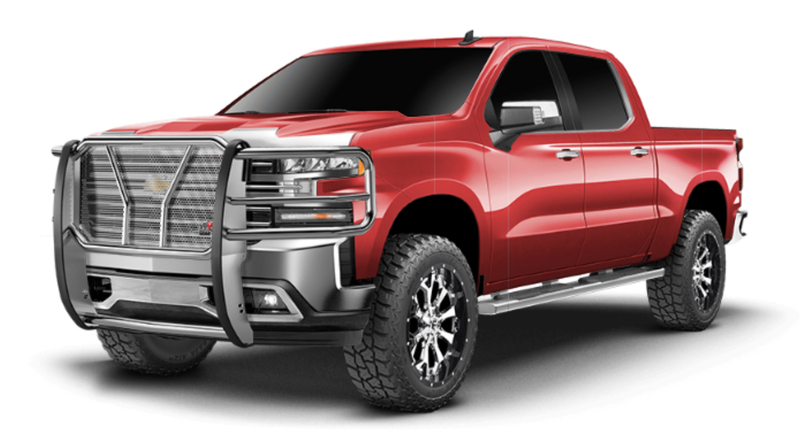 Lund, AVS, Rampage & Bushwacker (a.k.a Lund International Brands): Bumpers, Soft Tops, Running Boards, Hood Accessories and Light Covers. Over 2500 new accessories have been added to a variety of vehicles throughout your Interactive Garage software program. Westin:2014-Current F250 Superduty, RAM 1500 (2010-18) and RAM 2500 (2010-current), Toyota Tundra and Toyota Tacoma Bumpers, Nerf Steps, Running Boards, Bull Bars and Grille Guards. 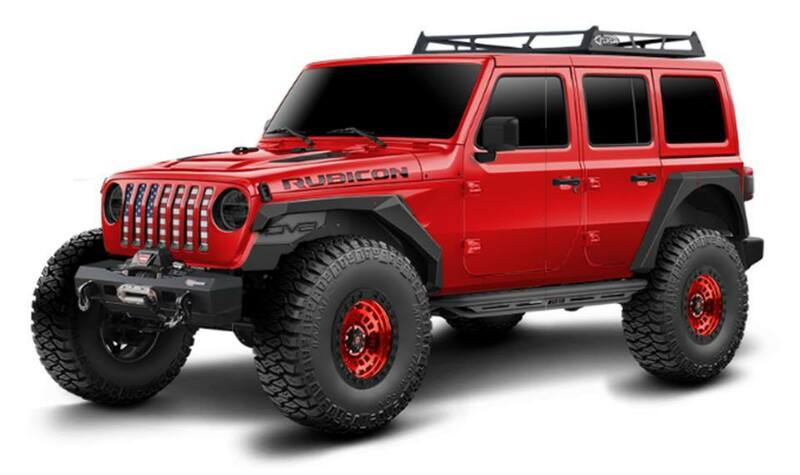 DV8 Offroad& REV Wheels: Wheelson all applications. Over 300+ wheels added. If the above is of interest to you, please respond by clicking HEREso we can get this process started with you. 2018 SEMA Show Las Vegas – Reminder! If your interested in a meeting with one of our staff, we will be using the SEMA Members lounge for one on one meetings or where ever you would like to meet up. E-mail Ryanfor meeting times and dates. Monthly reminder to all of you that are active in your adminand looking to see the changes made from your adminto your main user interface to make sure you clear your browsers history or cache. Each time you make a change to your adminyou will need to do this as most computers will keep showing your previous web page/s if this “cleanse” has not been performed. We have fielded calls from many of our licensees around this issue, as it is not a software malfunction on our end, rather a built in item on almost all the web browsers out there that we at Interactive Garage™ have no control over (wish we did). All products added to the Interactive Garage Software™ program are the property of the vendors / manufacturersthat produce the products. RCH Designs, LLC does not give nor have the right to sell, distribute or authorize the use of said products to any user of the Interactive Garage™Software Program. All users of the software must make their own arrangements to sell and/or distribute said products with the vendors / manufacturers directly. About Interactive Garage Software™: RCH Designs has developed the ultimate automotive accessories salesperson. Combining an innovative software program with professional digital imaging we created Interactive Garage. The Interactive Garage software, hosted by RCH Designs, has no limitations. Interactive Garage can sell accessories on any web site 24/7/365, making it the hardest working employee or sales person you will ever hire. Your customer designs the vehicle and we are the mechanics, bolting accessories on/off at the click of a mouse in addition to displaying what interior and performance accessories are available with pop up information panels. The options to choose from are endless with a plethora of exterior, interior, and performance parts and accessories.